The day after the day before…yes another Big Game with 15 people attending (two dropped out sadly) in the village hall, so we’re busy editting photos to show the progress. Whilst they’re uploading (I’ve got 50+), a few thoughts. And photos. 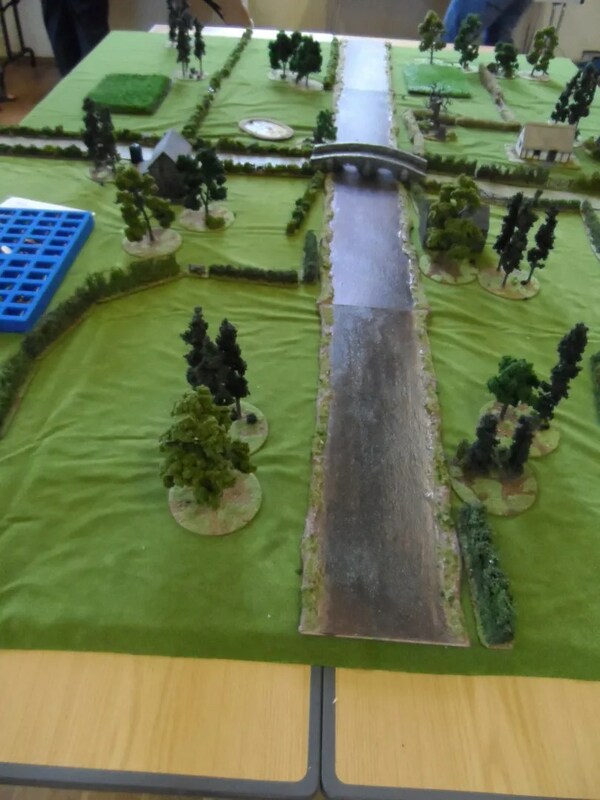 The Bredwardine Bridge table, complete with new river sections by Roo. 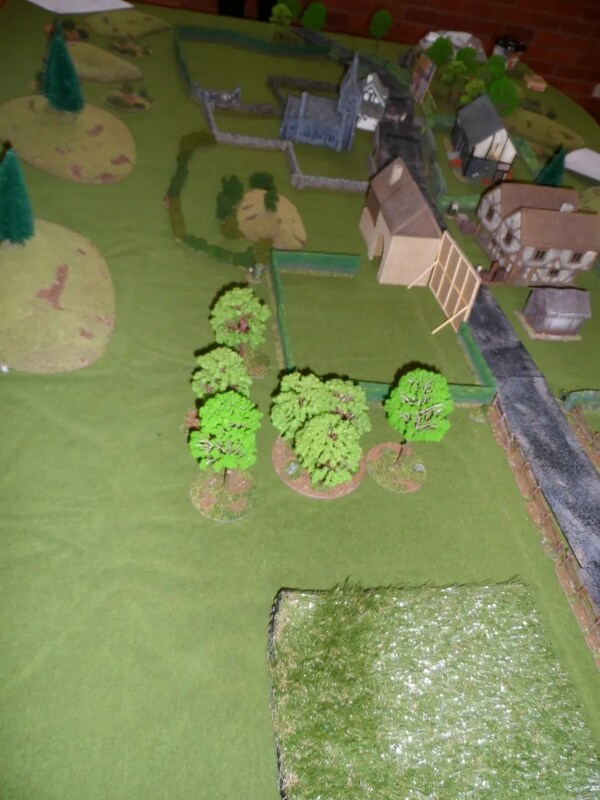 This was the table I played on, and the one that will feature most heavily in the upcoming posts. I’ll post link to inferior propoganda outlets regarding the other tables as well. 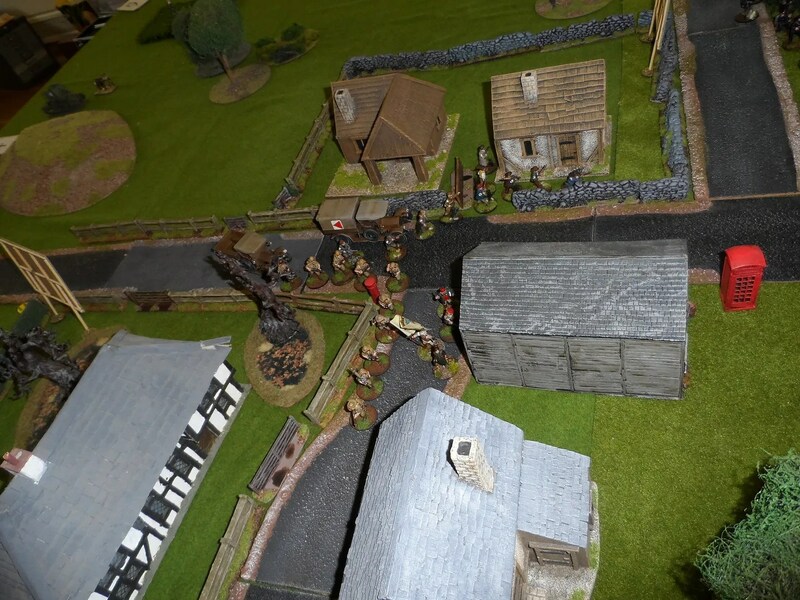 At the other end of the hall, was the battle for Dorstone. 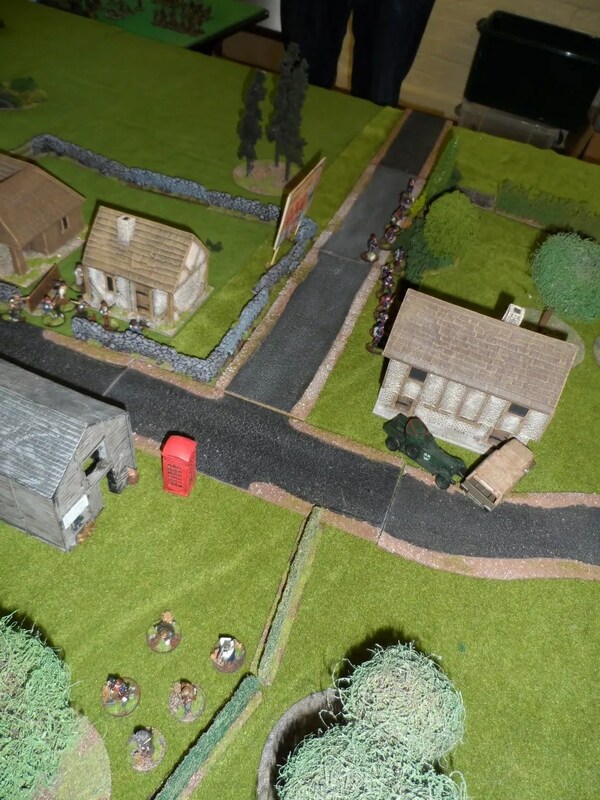 Again all three tables were 8×6′ tables, with OOP GW grass mats covered in a lot of scenery, mostly mine, but for Dorstone JP provided most of it. So with 15 people booked for a full day’s session, we needed catering as usual. At £6.50 per head that was £91 straight off. In kingston the middle table, the Anglicans set up. The hall cost was £35 per day, which is really good. More hidden deployment in Kingston. And then there was the curry afterwards, with 6 of us racking up another bill of £92. Add in the costs of Roo’s efforts with the river, and a river I did that didn’t in the end get deployed and we’re talking about £250 invested in this one event, ignoring sunk costs in scenery, and the figures themselves. I’d pinned the invoices to my calendar, and when looking at them made me think how much we spend on our hobby collectively. Next up, the actual games pictures.